The title of this article isn’t some kind of poetic metaphor. Last week I really did walk through the gates of Babylon. 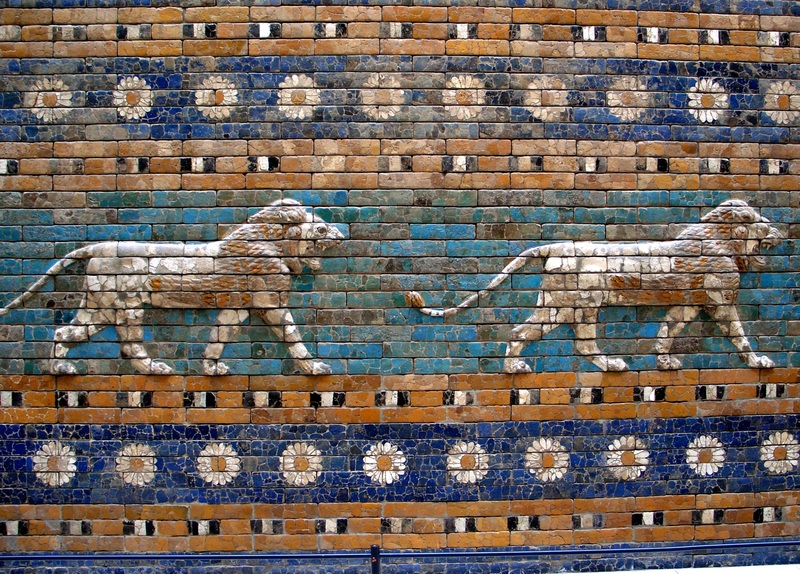 The Ishtar Gate, as it is called, currently resides in the Pergamon Museum in Berlin. Forget Greek, Roman and Egyptian ruins – this is nothing like any of those. For a start, it’s not ruined. It’s perfectly preserved. And even more astonishingly, it’s blue. It’s also enormous, as befits Babylon, the mighty city. 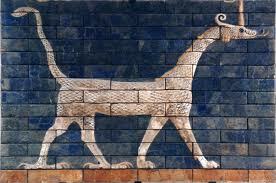 And you really can walk through it, just as the Babylonians did 2,500 years ago. Personally, I find this connection with the past absolutely mind blowing. Did I mention that it’s big? This is just the smaller, interior doorway. 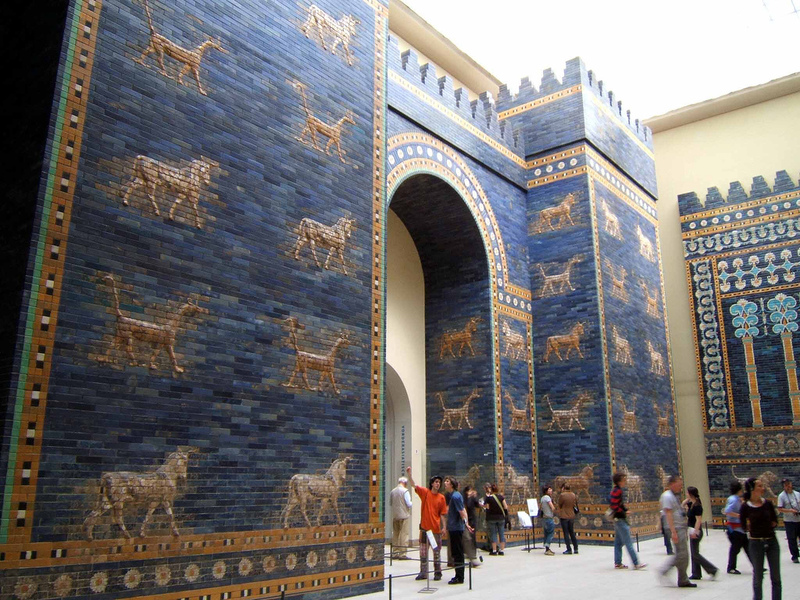 You can argue about the rights and wrongs of removing an entire chunk of a city from one continent to another, but the Ishtar Gate has almost certainly been much better preserved in its museum home than if it had remained in what is now modern Iraq. The Pergamon Museum also contains many artifacts from Uruk, the world’s first city, although I didn’t really get to see much of this, as I had the kids with me. 6,000 year old clay tablets recording humanity’s first tentative steps in writing aren’t family-friendly, it seems. But even my youngest son was (briefly) impressed by the fact that a significant part of the ancient city of Babylon had been moved stone by stone and rebuilt in a European capital city. Not only is this an amazing journey across continents – it’s as close to time travel as anyone can experience. This entry was posted in Life and tagged Art, Creativity, History, Writing. Bookmark the permalink. I had a moment similar to his one a years ago at the British Museum, when I saw the Rosetta stone for the first time (I know, major history geek!). Along with a rather large portion of the Egyptian collection (everything I’d read about in history books!) I agree, its as close to time travel as anyone can experience. Yes, the Rosetta Stone! Astonishing how one piece of stone can be so significant. For me another similar moment was walking into a room in the Musee d’Orsay in Paris and knowing every single painting on the wall.